Currently, only about 38% of nurses have a BSN as their highest level of education; about 39% have an AD and 13% hold a diploma.4 To keep pace with specialization, technology, and complex patient care, the profession must find ways to encourage nurses to return to school and graduate. Although research has identified external barriers for nurses returning to school for a BSN, such as tuition costs and family responsibilities, little nursing research has addressed the problem of internal motivators for these nurses. Why nurses aren't internally motivated to return for a BSN isn't clear, and further research is needed. Starting with a literature review, the authors developed a survey-based pilot study to identify internal motivators for nurses returning to school for a BSN. A pilot study was designed using Ajzen's theory of planned behavior to develop a survey. This theory has successfully explained and predicted behavior in many research studies. To predict whether a person intends to do something, certain factors must be considered. Behavioral beliefs are a person's attitude toward a behavior. Behaviors, which can be perceived as good or bad, can be influenced by the consequences or what a person thinks might happen. In this study, the researchers tried to determine nurses' attitudes about school by asking if they thought returning to school would be a pleasant experience. Normative beliefs are a person's perception of social pressure to perform the action. For example, in this study nurses were asked if "people important to me would approve of my returning to school" and whether "I would be interested in returning to school if my friends did." Control beliefs indicate how much people think they're in control and how confident they are. To examine confidence, the researchers asked if the nurse agreed with the following statement: "I am confident I could do the work if I went back to school." This study was conducted in a small community hospital in the northeastern United States. The hospital was chosen because of its large percentage of RNs holding less than a BSN degree. The hospital and university institutional review board approved this study. Over a 2-week period, the nurse managers distributed surveys to all practicing RNs and then collected them. Four statements were included from each category-behavior, normative, and control beliefs-plus five demographic questions. (See Survey tool.) A 5-point Likert scale was used to determine how strongly they agreed or disagreed with each statement, with 1 being strongly disagree and 5 being strongly agree. Face validity was established based on review of the instrument by a group of practicing RNs. Face validity is the ability of an instrument to measure what it's designed to measure. Information provided from the demographic questions identified the target group. Nurses with a BSN or higher degree and those who were currently enrolled in a program for a BSN or higher degree were excluded from this study. Ninety-five percent of those who responded had more than 6 years of nursing experience. The researchers received 27 completed surveys. All respondents were female, and most were between ages 31 and 60. 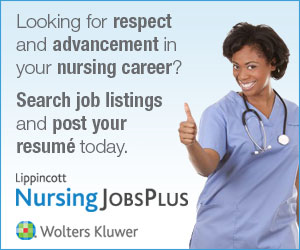 Two-thirds of these nurses had an AD, and only one-third had a diploma. In the behavior category, most of the respondents felt that furthering their education would provide more career opportunities but that returning to school wouldn't be a pleasant experience. Of the respondents, 25% felt that they were already adequately educated. In the normative beliefs category, 74% of respondents felt that their jobs would be more secure with more education. Forty percent were interested in returning to school with a colleague, and 59% felt they could return to school with the support of someone important to them. Only 33% of the respondents felt that the higher the nursing degree, the more the nurse is valued. In the control category, 14% indicated that although academics may be difficult, they were confident they could do the work. Although 50% of respondents were afraid of failing if they returned to school, another 50% responded that they intended to return to school within the next 12 months. A limitation of this research is that the nurses in this small sample may not represent a larger group. The researchers' lack of direct control over the distribution and collection of their own data also may have limited the ability to get a larger sample size. The time constraint of having to complete the study within two semesters was another limitation. The researchers chose this hospital due to its large number of nurses without a BSN. However, just before the study began, this hospital collaborated with a school of nursing to encourage its nurses to return to school, thereby impacting the sample size. This pilot study revealed some significant findings for nursing. For example, it showed that although 50% of the respondents intended to return to school in the next 12 months, many had a fear of failure. Knowing this could inspire nurses to find ways of making their colleagues feel they can succeed in a BSN program. This research also revealed that nurses would return to school if their colleagues did and that most nurses need a significant person to support them. Most people agree that things are more fun when done with a friend. Nurses planning on returning to school should find a friend to go along with them, keep a group of friends who encourage them, and use a support system to help and encourage them. One of the most significant findings was that many nurses feel they're already adequately educated. Nurse leaders and educators need to impress on nurses the importance and value of advancing their education by earning a BSN. A poster showing the link between quality nursing care and a higher degree could motivate nurses to return to school. The poster could be displayed in nurses' lounges and other key areas of the hospital. The information revealed here is just a steppingstone for further research on cohorts, nursing values, and nurses' fears about learning and the nursing educational system. Future research can help show how to overcome nurses' reluctance to further their education. Nurses were asked to indicate whether they strongly disagreed, disagreed, were undecided, agreed, or strongly agreed with each of the following statements. B1. A decision to return to school to further my nursing education would be a pleasant experience. B2. Furthering my nursing education will provide me with more satisfying career options. B3. I am already adequately trained; returning to nursing school will not make me a better nurse. B4. I am determined to return to school to further my nursing education. N5. Most people important to me would approve of my returning to school to further my nursing education. N6. I would be more interested in going back to school to further my nursing education if my colleagues did too. N7. I think the higher the nursing degree, the more a nurse is valued. N8. I believe that returning to school to further my nursing degree will give me more employment options in the nursing profession. N9. I feel that my job would be more secure if I returned to school to further my nursing education. C10. I intend to return to school to further my nursing education within the next 12 months. C11. I have fear of failure when I consider returning to school to further my nursing education. C12. Academics would be very difficult for me in a BSN or higher program. C13. I have confidence that I have the ability to do the class work necessary to succeed in furthering my nursing education.